According to a USA Today/Bank of America Money Habit survey. 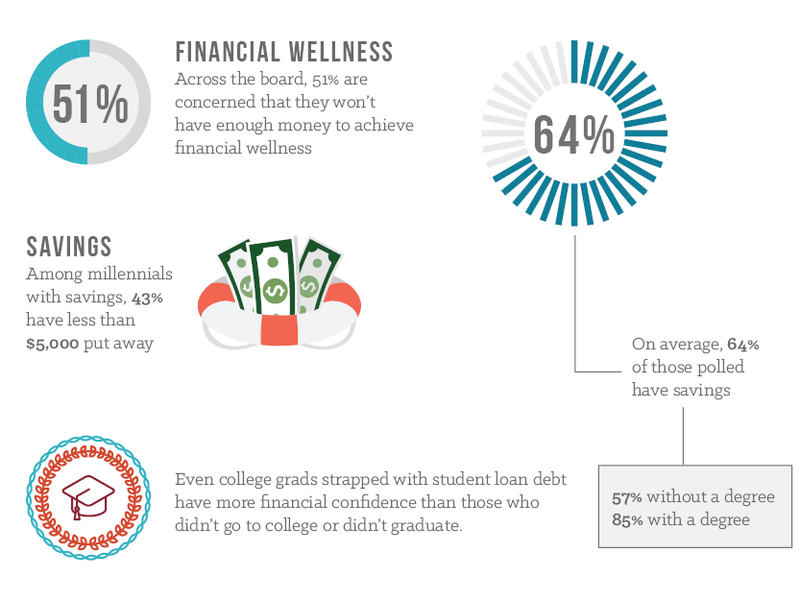 Among those surveyed, two-thirds of millennials said they have made getting out of debt a top priority. This ranks just above minimizing financial stress, spending less than they earn and having an emergency savings fund.